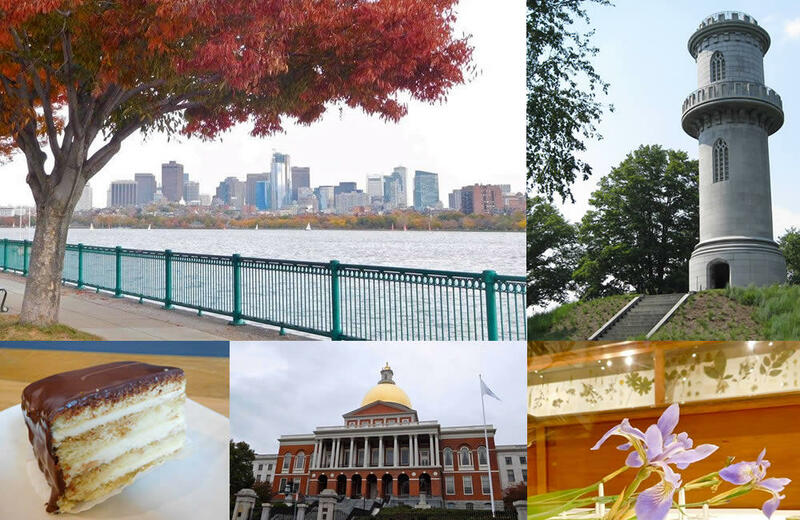 There is a lot to see and do in Boston, you could spend many weekends there. These are just a few ideas to get you started. And if you have something to suggest, please share! + Driving on I-90 east the trip takes 3 hours from Albany. + Greyhound bus travel times can be under 4 hours and cost as little as $25. + There's limited direct Amtrak service between Albany-Rensselaer and Boston. It takes about 5 hours and fares start at $60. If you drive consider traffic and the cost of parking in a major city. Without a car you can get around by using Boston's public transportation system. Boston is the birthplace of the American Revolution. The Freedom Trail -- a 2.5-mile-long brick lined path -- joins 16 locations significant to the forming of the nation. Many sites are free and there is a National Park Service visitor center where you can pick up a self-guided map or join a tour. 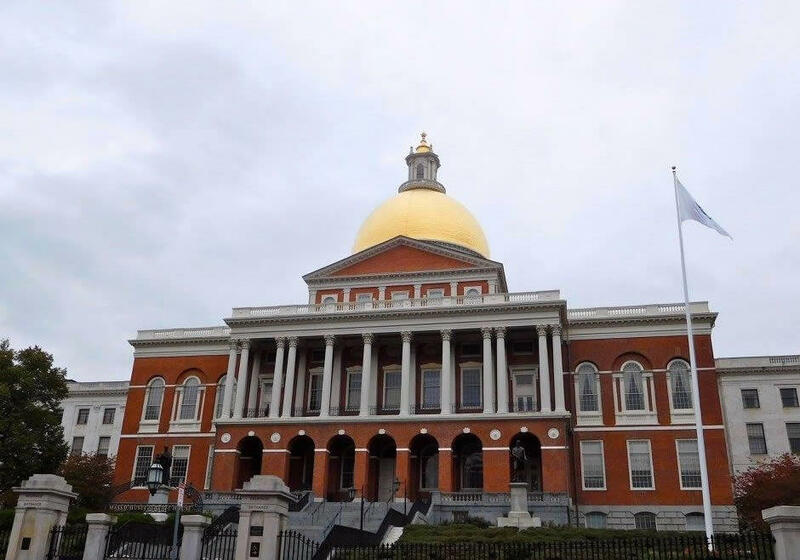 See the Massachusetts State House, site of the Boston Massacre, the home of Paul Revere, the USS Constitution (the oldest ship in the US Navy), and the Bunker Hill Monument standing 221' tall - which you can climb for a magnificent view of the city. 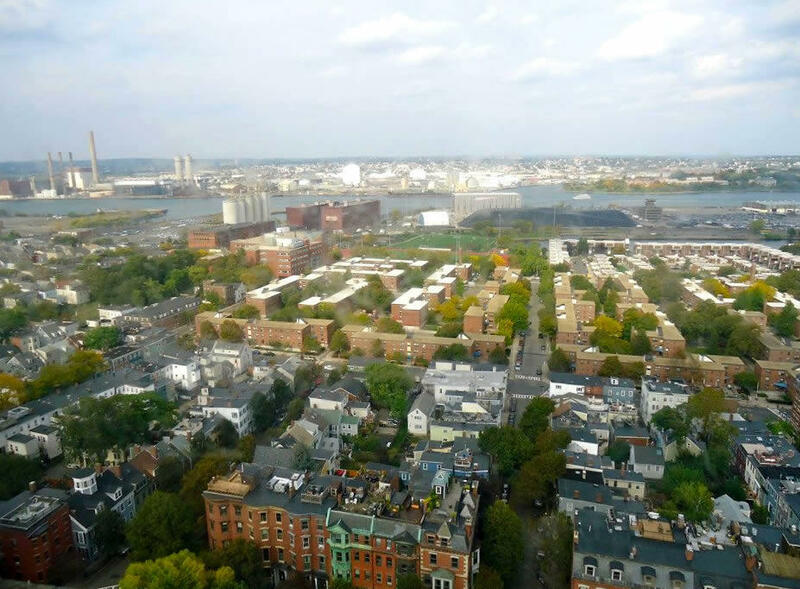 The view from the Bunker Hill Monument. Fenway Park is more than a hundred years old and it's one of the world's iconic sports venues. The baseball park opened in 1912 and has hosted ten World Series (the Red Sox have won half of them). The stadium offers tours year round. The Emerald Necklace is a chain of parks and waterways connecting 1,100-acres in Boston and Brookline, Massachusetts. The green space serves as a backyard for city residents, an ecologically important habitat for wildlife -- and a interesting places to explore for tourists. The Public Garden is America's first botanical garden. 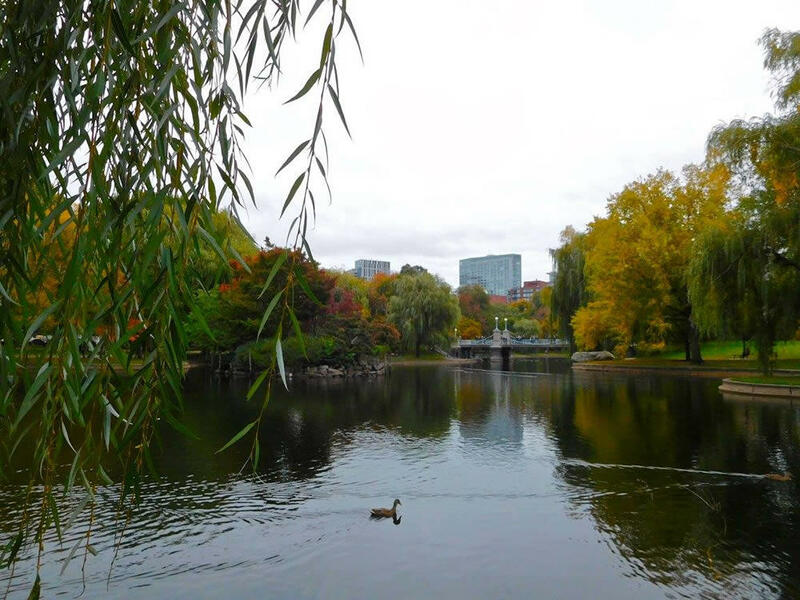 Created in 1837, it remains Boston's quintessential city park to this day. Swan boats are for rent in the summer, ice skating is popular in the winter. 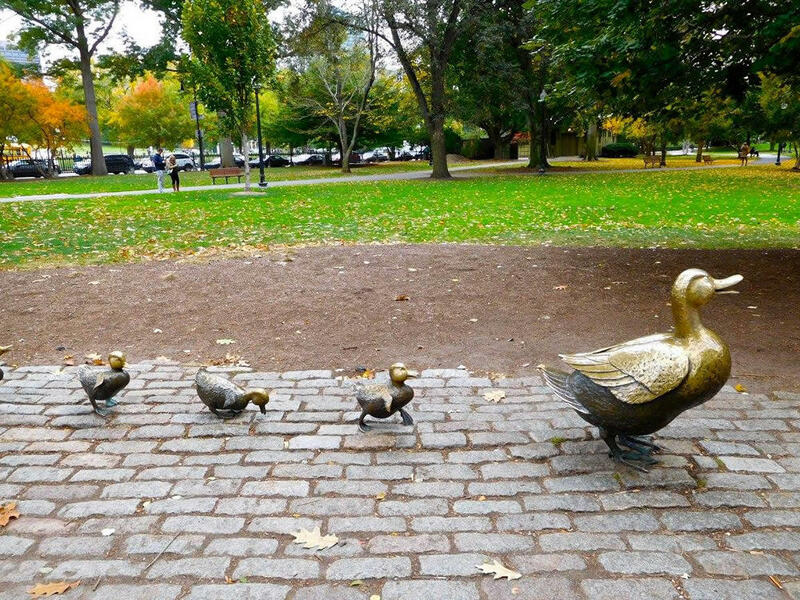 Kids will love the sculpture inspired by Robert McCluskey's timeless book Make Way for Ducklings (and seeing real ducks waddling about). Cheers fans should head directly across the street to visit the pub that inspired the famous sitcom. 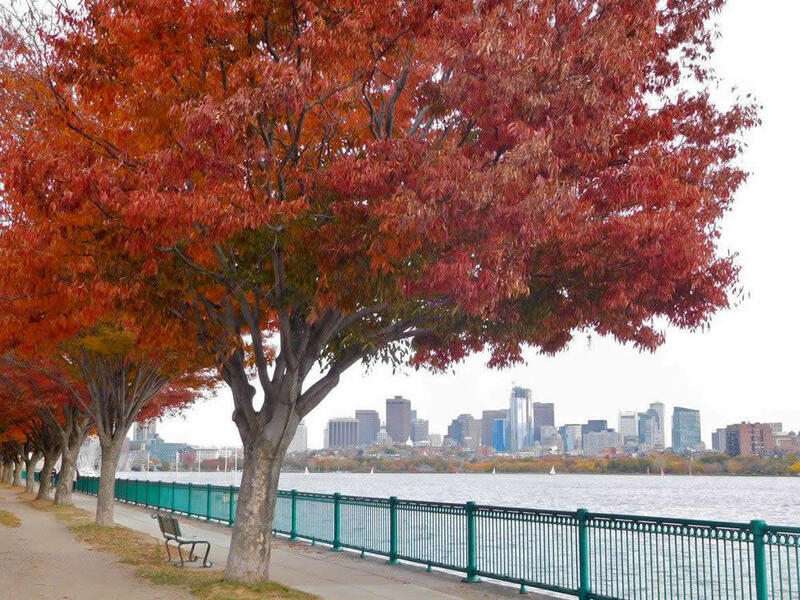 Along the riverfront the Charles River Esplanade is three-mile paved path for joggers, cyclists, and wide-eyed tourists to take in the skyline. Between Boston University and the Museum of Science there are murals, playgrounds, and a footbridge that leads to a wooded island. Seasonally you can rent a kayak, learn to sail, or see a free concert at the Hatch Shell. 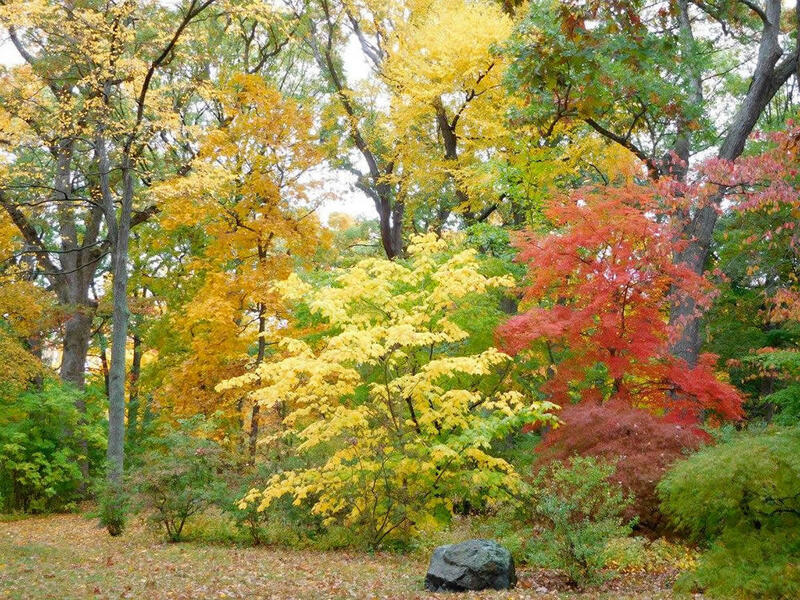 Find serenity in the middle of the city at the Arnold Arboretum, North America's first public arboretum. 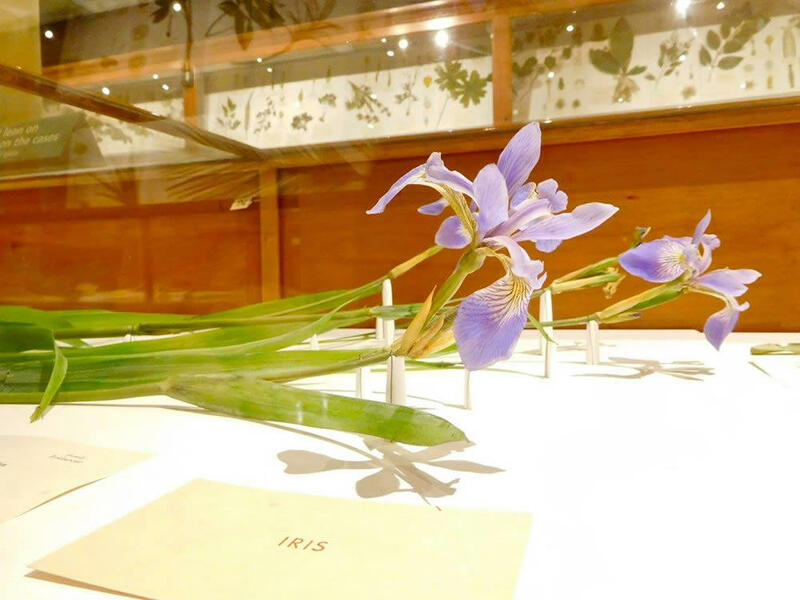 Within the collection of 15,000 living plants in 281 acres, discover centenarian trees, exceptional fall foliage, a dazzling display of lilacs in spring, and so much more. There are accessible paved paths and those that deviate to dirt and grass, climb up Bussey Hill for a great view. The park even has its own app, Arboretum Explorer, which allows you to build your own tour of plants you'd like to see. Free and open daily dawn to dusk. With a nickname like Beantown, food culture plays an important role in this city. Some of the classics: clam chowder, lobster, oysters, baked beans, and Boston cream pie. There are also lively neighborhoods that prominently offer cuisines such as Italian and Chinese. There are more than 100 shops and restaurants in the four buildings that make up Faneuil Hall Marketplace, the oldest was built in 1742. Samuel Adams stood against the British here. Jonathan Mayhew called for "no taxation without representation" here. Visit the food hall to grab some Boston chowda and soak in the lively and historic atmosphere. The Island Creek Oyster House has an extensive raw bar menu and their own farm nearby in Duxbury, oyster lovers will be in heaven. Sit at the bar and watch the oysters be shucked. 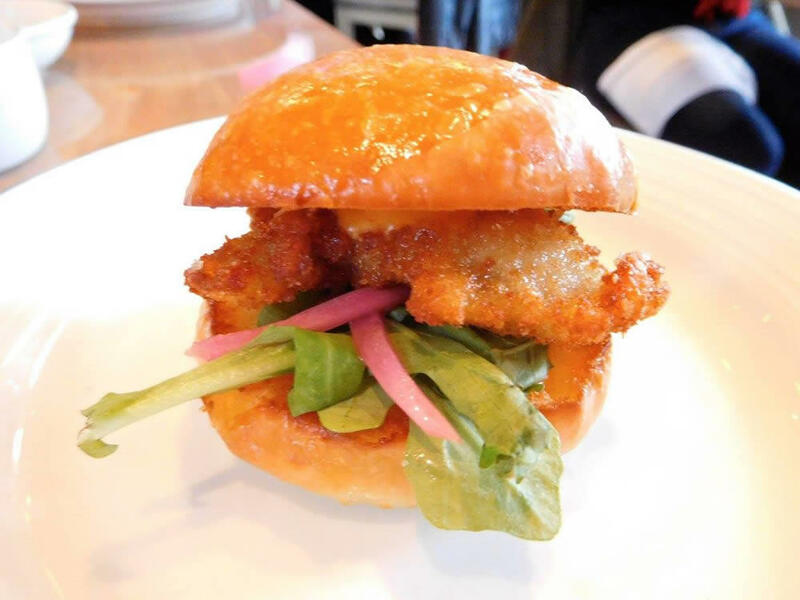 Those who don't prefer raw oysters can still experience the shellfish -- crispy oyster sliders are one of the best bites in the city, and an affordable option at an expensive restaurant. Service and food is top notch, reservations are recommended. 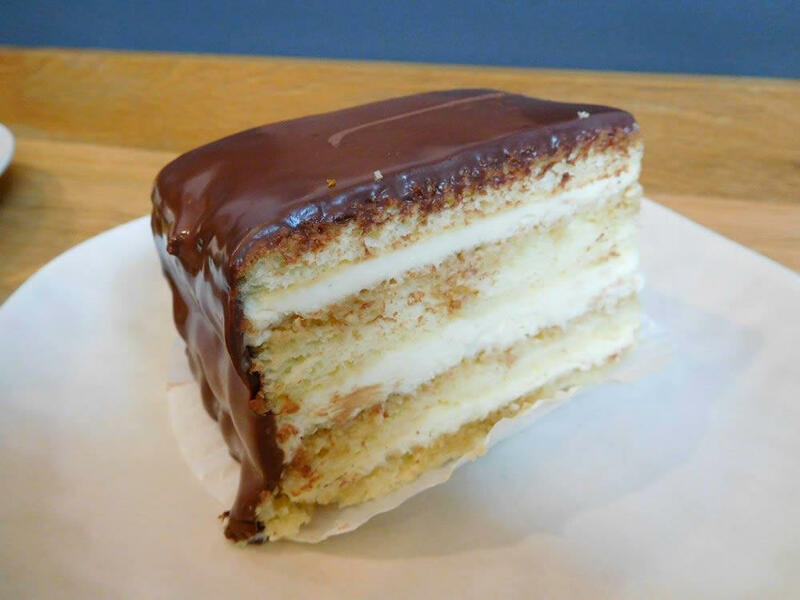 The Flour Bakery is well known for its sticky buns (they beat Bobby Flay), though you can't go wrong with the classic Boston cream pie when in the namesake city. Delicate layers of fluffy moist cake and rich cream, topped with a dark chocolate ganache. What makes this unique is the subtle and dreamy coffee taste, deviating from tradition. Just northwest of Boston, across the Charles River, Cambridge is home to a few universities you might have heard of. And it's worth heading over to explore. There is always a line outside of the Ball Square Cafe (which is actually in adjacent Somerville) for brunch. Even when it is cold people happily stand under the heaters. Probably because they have grilled blueberry muffins on the menu. Also, the home fries are grilled and mashed. A simple twist on a regular breakfast item that makes a fantastic difference. The New Hampshire-based L.A. Burdick handcrafts has five locations across the US -- two of which happen to be in the neighboring cities of Boston and Cambridge. 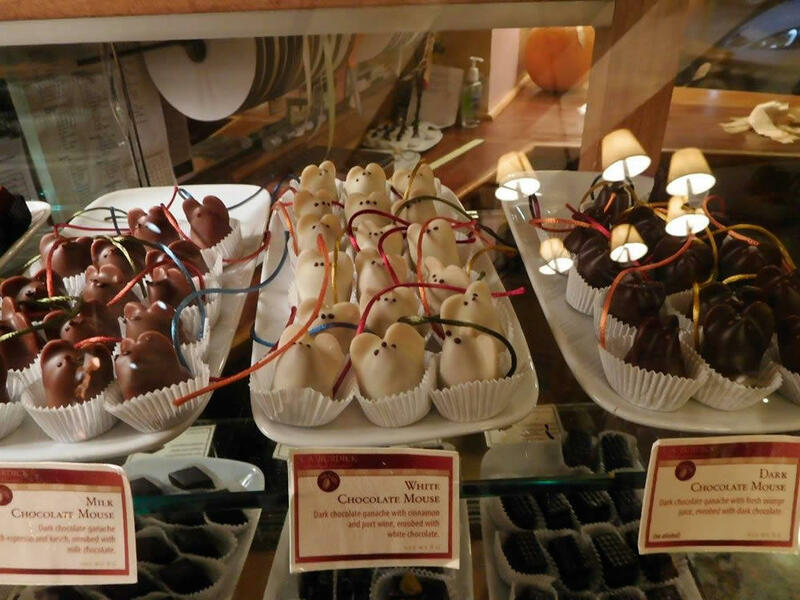 Adorable and delicious, the company's signature chocolates are made in the shape of mice and penguins. Their bellies are filled with ganache and ears or wings are made of crisp toasted almonds. Just west of Cambridge is Mount Auburn Cemetery, the first rural cemetery in the United States. And it was an inspiration for other similar park-like cemeteries around the country (such as Albany Rural Cemetery). Established in 1831, it was already a popular tourist destination by the 1840s (among its visitors was Emily Dickinson). Henry Wadsworth Longfellow is among the famous people buried there. To this day it's still a popular spot for visitors because of its beauty and history. 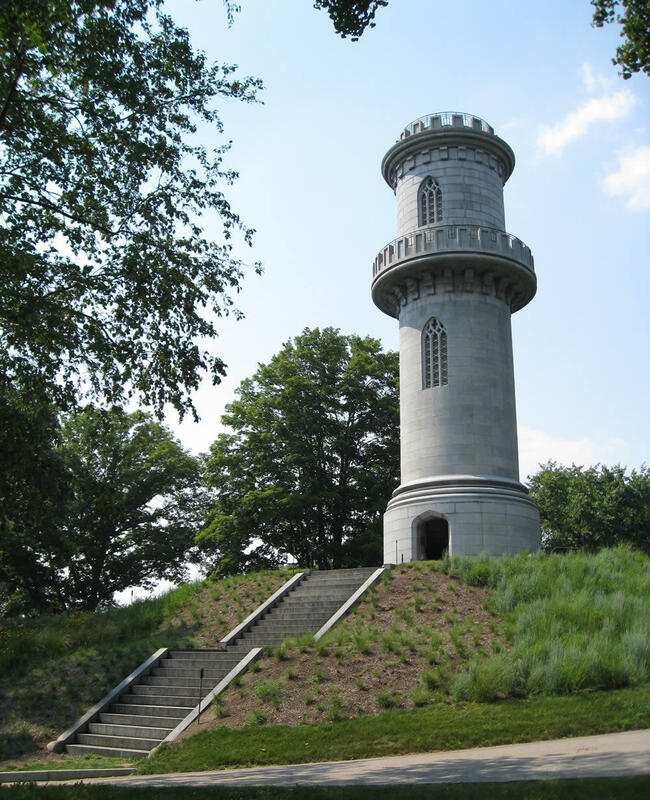 And the cemetery's Washington Tower, open April to October (weather permitting), offers a panoramic view of Boston. While admission is a bit pricy, the aquarium is a great destination as well, particularly with kids! I would add the Isabella Stewart Gardner Museum. Incredibly beautiful building, which was her home, and a great art collection.Convenient location, too, near the Museum of Fine Arts. The Mount Auburn Cemetary is stunning on a fall day. You could easily spend an afternoon here gawking at the foliage, birds and the beautiful stones/grave markers and monuments. Then go to Watertown and get some Armenian food.